Always the last weekend in April the rodeo is one of the most popular events in Fresno County and takes place April 25-28, 2019. Fans wanting to purchase tickets can click the ticket tab at the top of the page or visit the Clovis Rodeo Ticket Office at the Rodeo Grounds from 9 a.m. to 2 p.m. Monday through Friday. Beginning Monday, April 1 the ticket office will extend their hours to 9 a.m. to 5 p.m. Monday through Friday. Ticket prices range from $20.00 to $35.00. There is also a Thursday/Friday ticket package available for $65. Click the ticket at the top of the page to get yours today! 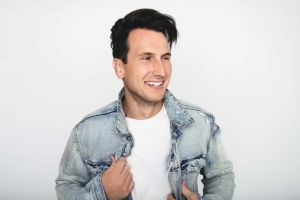 The PBR Bull Riders will hit the dirt in Clovis to open the rodeo on Thursday, April 25 followed by Country Music chart climber Russell Dickerson in concert. 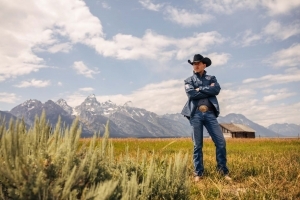 One of country music’s most talked-about new talents and the voice behind the smash single “Yours,” a stunning ballad that’s racked up over 33 million streams to date on Spotify, he’s been on the Hot Country, Country Gold Playlists and more for over a year, since being aired to country radio in 2018. Friday night, April 26 will open three days of PRCA Pro Rodeo action followed by country music fan favorite Aaron Watson in concert. Watson continues to dominate as a true independent in the country music arena. The 2017 album Vaquero launched into the Top 10 on the Billboard 200 Albums chart and at #2 on the Top Country Albums chart. His tribute song to World Champion Bull Rider, Lane Frost entitled July in Cheyenne is sure to be a Clovis Rodeo fan favorite. Lane Frost is the bull rider depicted in the centennial bronze statue at the front of the Clovis Rodeo grounds. Two more days of Professional Rodeo action with some of the sport’s top cowboys and cowgirls will follow along with the popular Clovis Rodeo parade on Saturday, April 27. Kicking things off right for 2020 will be a new entrance for the Clovis Rodeo grounds that will still be off of Clovis Avenue but more in line with 7th Street and where the Centennial Bronze statue stands. On Friday, March 29 Clovis residents will see the old gas station building in front of the grounds raised to make-way for the new entrance that will include four traffic lanes into the rodeo parking lot, creating a more accessible, safer entry and exit for rodeo guests. A new digital message board along Clovis Avenue will be a part of the improvements. 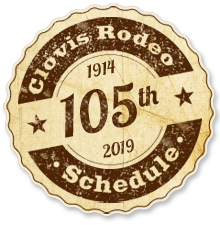 In 2020 the Clovis Rodeo will also be adding a performance day to the scheduled line-up for the 106th Clovis Rodeo that will now take place April 22-26, 2020. Making one of the top rodeos in the nation a five-day event. Next year the Professional Bull Riding will take place on Wednesday, April 22 followed by FOUR DAYS of PRCA Rodeo action! The concerts following the rodeo performances will remain on Thursday and Friday nights. The schedule of all other rodeo events such as the parade and dance will remain as currently scheduled on the Saturday of rodeo week. 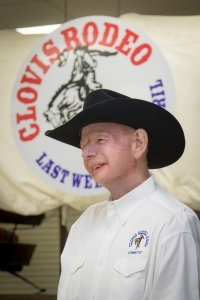 Leading the 105th Clovis Rodeo parade on Saturday, April 27 will be Grand Marshal Larry Cowger riding the Old Town Clovis Fire Engine. It is a fitting tribute for Cowger, who spent 31 years with Cal Fire. Always there to serve and protect his community, Larry is admired for being a dedicated volunteer member of the Clovis Rodeo Association. 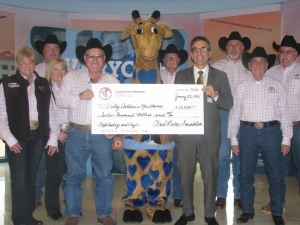 The Clovis Rodeo Association and Valley Children’s Healthcare partnered in October 2018 to host the second annual Kids, Cowboys, & Clays fundraiser at Sun Mountain Gun Club in Coarsegold. The tournament clay shoot included an auction and dinner for guests as part of the daylong event. Thanks to the event sponsors, participants and an incredible group of volunteers the event raised in total almost $24,000. Proceeds benefit the Clovis Rodeo Foundation and Valley Children’s Healthcare with their funding being used to support the greatest needs at the hospital.